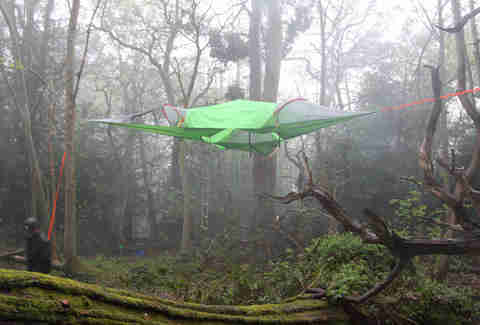 We've covered inflatable tents and backpack hammocks, snoozing on cliffs and sleeping in trees, but for the discerning camper who wants to combine them all, check out Tentsile Connect, an all-in-one, hammock-meets-tent-meets-treehouse hybrid. 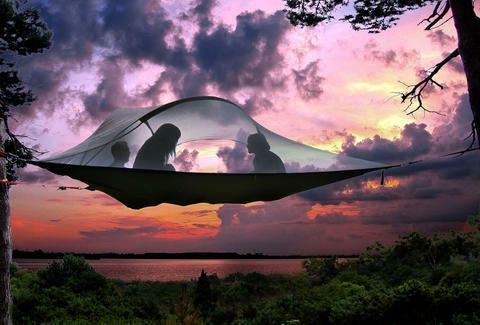 Created by UK-based company Tentsile, the Connect is a 50sqft, two-person tent (with a maximum capacity of 880 pounds) that you suspend between trees like a hammock. Mother Nature, weather, and topography be damned. It packs into a 15lb bag, comes in a rainbow of colors, and has a full mesh roof for maximum ventilation and views. 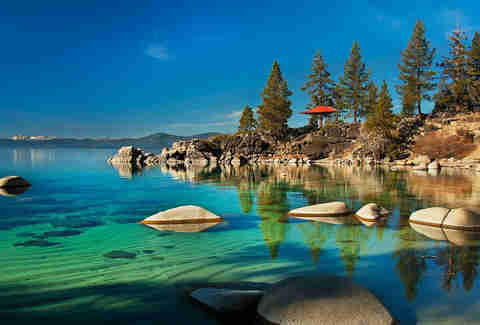 Best part ever, you can join your tent with others, effectively creating a tree house community or arboreal dorm. To get in? There’s a collapsible ladder, as well as a floor hatch and large side door. 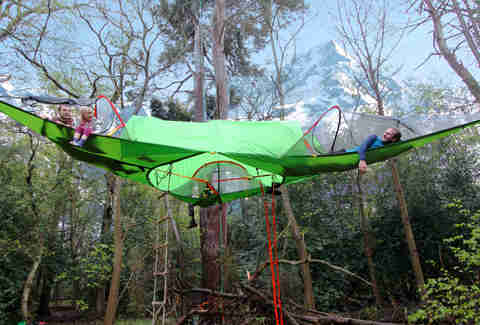 Check out the tree tents in action or score more info here.